We missed the Nunhead Cemetery Open Day in 2017 — we were told it must not happen again. So this year we made our come-back. The photo-shoot before the usual mad rush. Please note the insect-themed cowichan-style jumper I’m sporting — that’s a minotaur beetle and a stag beetle you can just make out on the front. You’ll notice the hornet on my back. And what’re they near my neck? Neck-biting deer flies, Chrysops, obvs. Lillian was in charge of putting together the display boards, which featured a selection of Extreme Insects spreads, some gate-fold identification guides to popular groups, and various show-off book covers. Featuring the all-new displays, plastic bug toys, bug-bunting and bags of large pebbles to stop the gazebo blowing about. And on they came. We reckoned on something like 200 visitors. Cardinal beetles, Pyrochroa serraticornis, were frequent finds, as were Lithobius centipedes (none bit me this time), the usual woodlice (four species), the scarce brown tree ant, Lasius brunneus, and then this lovely…. By the end of the day you can tell I’ve had a good time by the grubbiness of my fingers. A false widow spider, Steatoda nobilis. 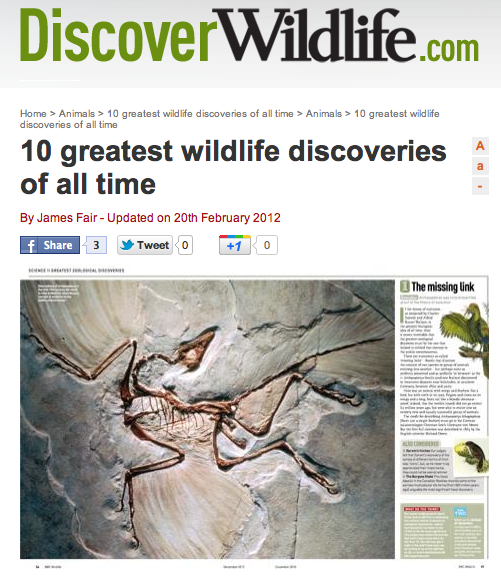 And no, Daily Mail, of course it did not bite me, what a notion! Everyone left clutching their precious certificate. He wasn’t the first person to peer inquisitively over my shoulder that day, but he certainly had the most questions. “Are you an actor?” was his first. “And you do this all the time?” he followed up. “Yes,” I claimed, “but this is the first time I’ve been on public display.” I could tell by his penetrating look that he wasn’t completely convinced. He tried another tack. Looking about carefully at the joinery, he stated this with the extreme authority of someone who knows their stuff, someone who is, perhaps, an internationally acknowledged expert on temporary wooden structures, possibly a garden building twitcher, a doyen of sheds. “Did you build it?” I had to admit that I had not built it. Again, I had to rebuff his admiration and acknowledge that, no, it was not my idea. I declined to join him in further shed appreciation, merely nodding and coughing and gripping the microscope even more firmly. By now I was dreading an extended conversation on tenon and mortise joints, door furniture, all-weather paint treatments and the benefits of shiplap over featheredge. But luckily some other visitors arrived and he had to move out of the way to let them see what I was up to. And just what was I up to? Well, I must admit, I still have an anxious feeling that I’m not entirely sure what I was up to. Ostensibly I was collecting and cataloguing the insects from a tiny derelict garden next to Camberwell’s South London Gallery. That much is fairly straightforward. 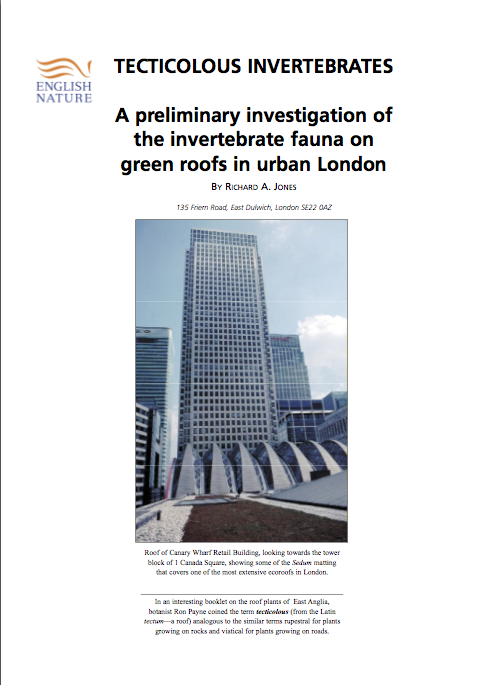 But this was not part of some academic enquiry into garden insect biodiversity, nor was it an ecological study or an environmental impact assessment. No, I was making art. I was being part of art. In fact I was part of an art installation. It was all very odd — very, very odd. 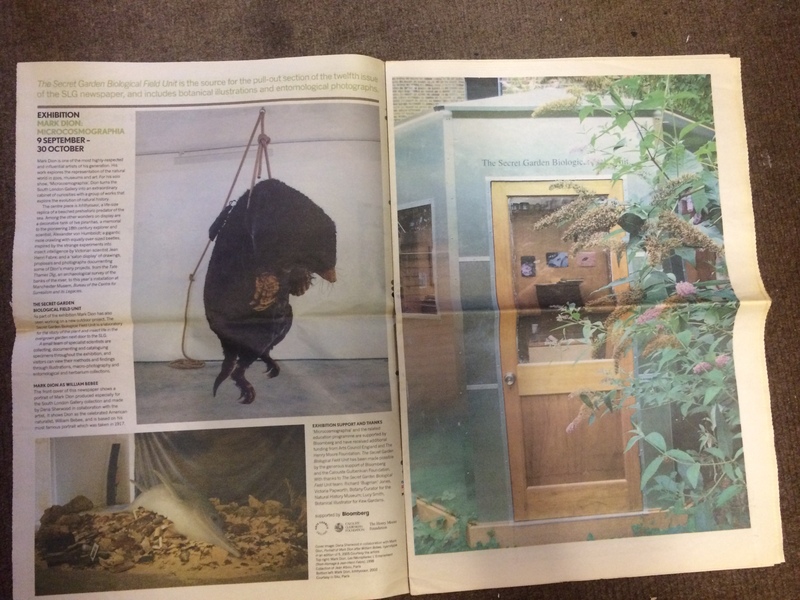 Part of the newsletter from the South London Gallery explaining what the shed and its contents was all about. The giant dead mole was inside the main gallery — that’s another story. The “Secret Garden Biological Field Unit” was designed by American artist Mark Dion. It was an octagonal wooden building about 3 metres in diameter and 4 high. It had windows and skylights, mains power, heating, lighting, furniture and with its varnished marine ply, aluminium flashings and weatherproof fitted windows it was, as my inquisitive visitor had so keenly observed, really well built. It was provided with a binocular microscope, insect cabinet, entomological pins, glass vials, alcohol, card, plastizote mounting strips, ethyl-acetate, tweezers, scalpels, fine brushes, hand lenses, petri dishes, and all the other basic laboratory paraphernalia a field entomologist might require. And it was my place to sit there, for ten days during August and September 2005, to catch insects in the “garden” (now mostly bramble, bindweed, nettles and other rank weeds), mount them, identify them and display them for all to see. It was not an onerous or arduous task. Admittedly it wasn’t the most enticing site I’d ever studied, but I am well used to visiting derelict brownfield sites, with disused buildings and overgrown gardens and finding the most unusual things. There were some of the ‘usual’ oddities. Kalcapion semivittatum is a tiny weevil which feeds on annual mercury. Once regarded as exceptionally rare, it is now well established in London and the south-east and appears to be spreading. Agrilus sinuatus is a beautiful reddish pink jewel beetle. Once given red data book status it has since proved to be more widespread since the characteristic sinuous burrows its larvae make through dead hawthorn bark have been recognized. The distinctive D-shaped exit holes peppered a sad-looking branch of the straggling hawthorn bush in the garden. And although I don’t usually rate buddleja very highly as a nectar source it did bring in the huge hornet-mimicking hoverfly, Volucella zonaria. Again, once very scarce, as a rare migrant to Britain, it has increased in the last 50 years and is now firmly established breeding in the UK and is fairly common in London. And finally, the much media-hyped harlequin ladybird, Harmonia axyridis, turned up in various colour forms. I duly labelled the specimens and added short notes with a bit of commentary to some of the more interesting species. I tried to make the cabinet display as aesthetically pleasing as I could. I was not alone in my ‘art’. I was joined at times by Lucy Smith, a botanical illustrator from Kew Gardens who was painting precise and delicate water colours of some of the ‘secret’ garden’s plants, and Victoria Papworth, botany curator from the Natural History Museum, who was constructing a herbarium collection of pressed plant specimens. Sometimes our visits coincided so we were able to chat over Radio 4 and exchange ideas about this unusual project. Even if we did not meet up on the same day, I could tell if one of my confederates had earlier passed through by the rearranged paper and brushes and by the extra sheets pinned up on notice-boards or piled into the plant press. When we weren’t there, visitors could peek in through the windows to see our equipment scattered across the desks — some new flowers in a vase next to the latest painting, a glass-topped drawer full of carefully labelled specimens, and the odd identification guide supposedly left casually open on the tabletop. It reminded me, somewhat, of Charles Darwin’s study at Down House. There, various glass jars, notebooks, pens, ink, and lenses are now arranged on the desk, just as if the old man had, moments ago, interrupted his studies and decided to take a short walk in the garden, but would be back any minute. However, it was not this tableau that was the art, neither was it the labelled display of my insect specimens, nor ironically the delicate water-colour flower paintings, nor even the very well built shed itself. It was the whole setting of garden, laboratory and the ‘naturalists’ working within. It was the whole installation and the interaction of visitors with the resident scientists. As I sat there collecting, curating and identifying the 128 species that I eventually found, I contemplated the strangeness of my unusual situation. Should I be ‘performing’ to the visitors that quizzed me? Should I be ‘in character’ wearing a Panama hat or a pith helmet? Was the perceived triviality of collecting insects being mocked? And perhaps more fundamentally, how had what I normally regard as the ‘science’ of entomology been turned around into art? I had long conversations with the many visitors to the gallery: teachers, schoolchildren, students, artists, art critics, the curators of the gallery, and even the originating artist, Dion, himself. We discussed the basics of insect taxonomy and ecology. I was able to enthuse about nature all around us, even in art galleries. 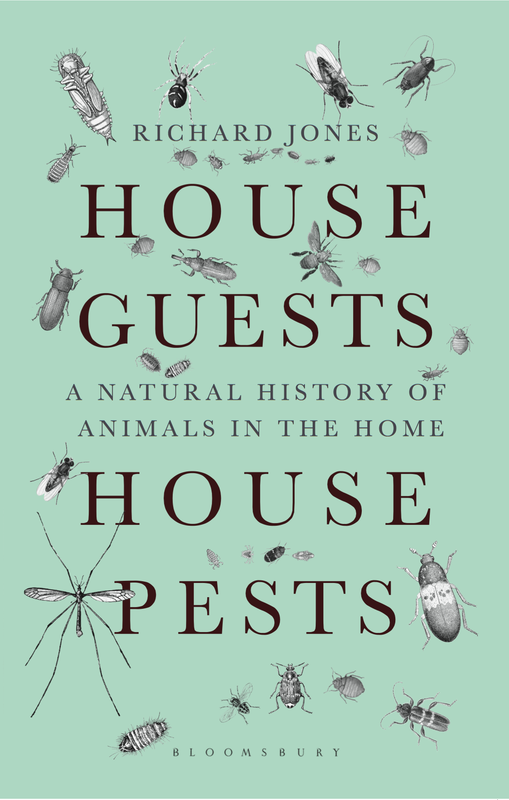 I tried to infect my audience with the awe of the multitudinous microcosm that is the study of insects. We mused on the mutual significance (or was it insignificance?) of artistic interpretation and scientific understanding. We philosophized about beauty, and creation (but thankfully not creationism). We even considered the parlous state of funding, for both arts and science, in the UK. And although I enjoyed my time on display, I must admit that I am still slightly baffled by the whole scheme. However, I have come away the wiser, because I have decided on one basic tenet of the human condition— the distinction between art and science is now clear to me. It does not matter how big or small the project; how significant the potential outcome to influence our future lives, or how practical or ephemeral the subject of our attention. Science and art share a sacred truth, a truth based on who and where, not on why and what for. It’s simple — science is what scientists do in laboratories, art is what artists do in art galleries. And so it continued, for the ten days of what I now look back on fondly as my sabbatical, when I was co-opted, briefly, into the art world. And I never knew who would walk through the door next. It turned out to be an art critic for one of the nationals. She peered over my shoulder, then looked around. “This is a nice shed, are you the artist?” Oh no, here we go again. 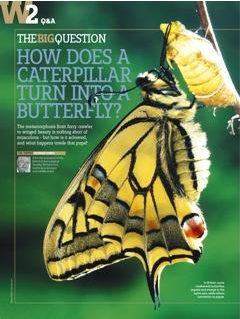 This piece was originally published in Antenna, newsletter and bulletin of the Royal Entomological Society, 2007. 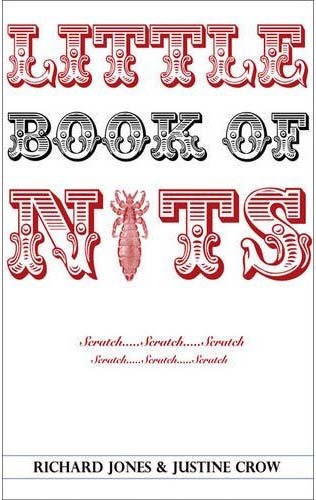 I’m reprinting it today after discovering that Mark Dion is back in town with a new exhibition at the Whitechapel Gallery. Faced with over a thousand small pots of pickled insects from pitfalls in Regent’s Park, I quickly remembered why I don’t like trapping insects. It isn’t the slightly acrid stench of decay that the industrial alcohol is valiantly attempting to restrain. Nor, indeed, is it the texture of the slugs, which take on a resilient wine-gum plasticity after six months in vodka. (The delivery of denatured ethanol had not arrived by the May launch of Mission Invertebrate, so a couple of bottles of Sainsbury’s own-brand hooch was acquired.) It is the sheer numbers of insects that have to be painstakingly sorted under the microscope. The problem with pitfall trapping in a London park is that species diversity is hovering around the zero mark. A few common ground beetles (ubiquitous Nebria brevicornis and Pterostichus madidus dominate), rove beetles (devil’s coach-horse, Ocypus olens and some large Philonthus), black ants (Lasius niger), and several very common woodlice made up 99.9% of the catch. It was so very mundane. In the normal course of entomological activity — the sweep net my weapon of choice — there is a subliminal sifting, by which 99.9% of the activity in the net can safely be ignored whilst they fly or crawl off; amongst them the more unusual insects can be sought. Under the stereoscope, though, every scrap of protoplasmic matter has to be shifted aside, until a nugget is revealed. 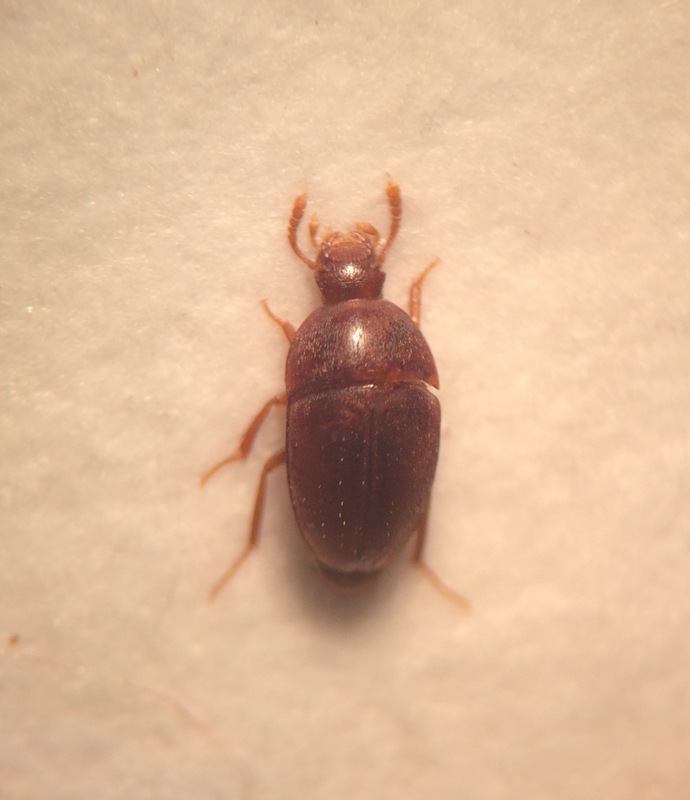 And so it was with this, my rare-versus-obscure find from the haul — Parabathyscia wollastoni. Parabathyscia wollastoni. Small, but perfectly formed, except in the eye department. What Parabathyscia gets up to, nobody is quite sure. It has been recorded under decaying rhubarb and lettuce leaves, in rotten seed potatoes, and in a bumblebee nest. 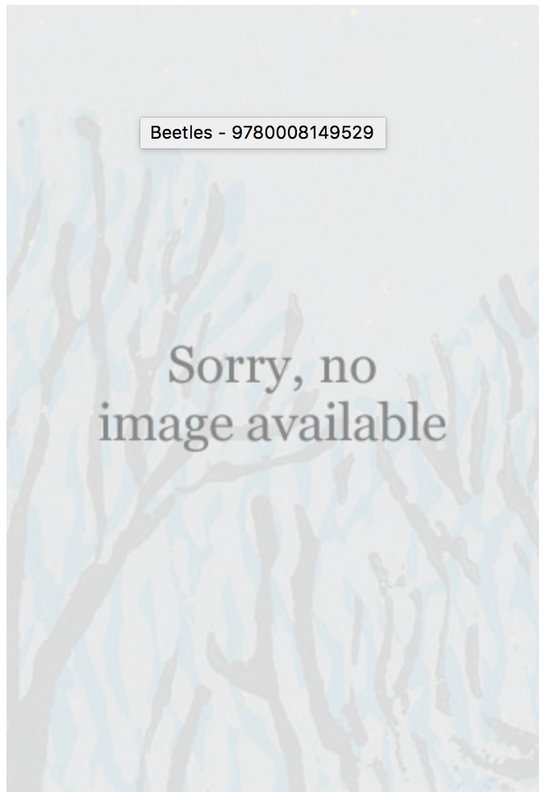 The National Biodiversity Network Atlas lists only 14 records, but the beetle has no official conservation status — the implication being that it is rarely recorded because it is so easily overlooked. It may be overlooked because it is almost certainly a subterranean insect. It is blind, completely lacking eyes. Weird. 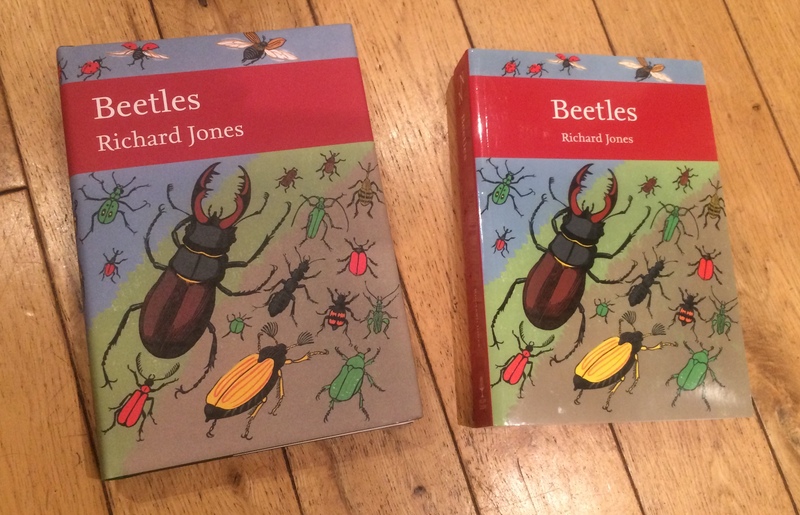 Hardback and paperback; a minor rejig of the ladybird group, but otherwise a matching pair. It’s here. Publication day is set for 25 January 2018. 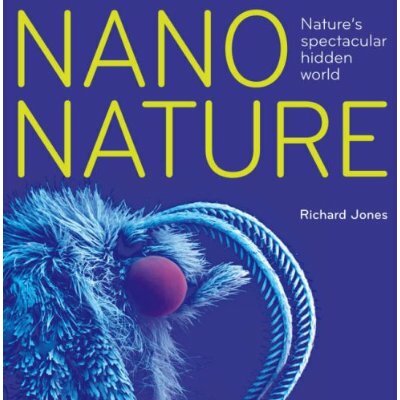 It’s been nearly four years since Mark Telfer sidled up to me at the 11th British Entomological Society Coleopterists’ Day at the Oxford University Museum of Natural History, and enquired under his breath whether I’d heard from Sarah Corbet yet, about the idea for a beetle volume in the New Naturalists series. I nearly dropped my cup of tea. It seemed that feelers had been put out for a victim to be approached, Mark, it transpired, had landed me in it. The thought of such a commission was daunting, to say the least, but I knew that if the offer came I’d hesitate for all of 2.5 seconds and then accept. When it came, I did. Producing the book has been even more daunting than I imagined at the time, and although it has been long and exhausting in the researching and writing, it has also been intellectually and emotionally rewarding beyond measure. My eternal thanks go to Mark, and I look forward to returning the favour with some equally monstrous task for him in the near future. At 5 mm long, narrow, and black, Pseudisobrachium subcyaneum is understated, to say the least. This is perhaps the rarest insect I’ve seen this year. Or it may just be the most obscure. The Bethylidae are technically (along with bees, wasps and ants) part of the Aculeata (they mostly have stings at the pointed end), but whereas those more familiar insects have a popular following and at least some popular recognition, bethylids are mired in darkest obscurity. This is certainly the largest bethylid I’ve ever seen, but at just over 5 mm it is minuscule beside yellow-jackets and bumblebees. I like the bethylids, mostly because I started finding them when looking for beetles. They have a most un-wasp-like way of running around in the sweep-net, not flying, rather like a tiny rove beetle; they are dark, parallel-sided with shining thorax and a triangular or pentagonal head a bit like Sunius or Rugilus. I now have quite a collection of them thanks to my confusion. It seems likely, though, that most other coleopterists ignore them, as do most hymenopterists. Consequently they are poorly understood and seldom recorded. There are zero records for Pseudisobrachium on the National Biodiversity Network database. According to the Bees, Wasps and Ants Recording Society page, there are old (19th, or early 20th century?) records for Kent, Surrey, Isle of Wight and Dorset; the only modern record is from South Essex in the 1990s. This is a male; females of Pseudisobrachium are blind and wingless and possibly live in some association with ants, although nobody seems quite sure. This does mean that as a species it is very poorly adapted to finding and colonizing new sites, but well-suited to declining and become locally extinct. I found it near Hounslow Heath, a worthy remnant of sandy heathland in west London. Sadly this area is under constant threat from urban encroachment, development and habitat degradation. There is now nothing remotely heathy about the once richly biodiverse Heath Row a few thousand metres away north-west, now buried under runways, hangars and shining terminal buildings. The single specimen, swept on a sunny but cool 15 September, was just outside the genuine Heath, on the abandoned golf course. Here, a year after the course closed, the fairways have grown into long grass, but apart from some yarrow, plant variety is almost a herb-poor monoculture of coarse grasses. The only variation was in some of the old sand bunkers, and sure enough this is where Pseudisobrachium occurred. Golf courses have a mixed reputation for nature conservation. On the one hand they are green open spaces with roughs and copses and hedges and trees, but on the other they are sometimes savagely manicured to within an inch of their wildlife. But if left alone for a short while, strange creatures may eventually crawl out of the hazards — even if they are tiny, mysterious creeping things about which we know virtually nothing. No blog post for 2 months — what is going on? Well, I’ve been rather busy, not least shooing the final proofs of the Beetles volume of the New Naturalist Library out of the door. It’s on the website, though the front cover has yet to be finalized. 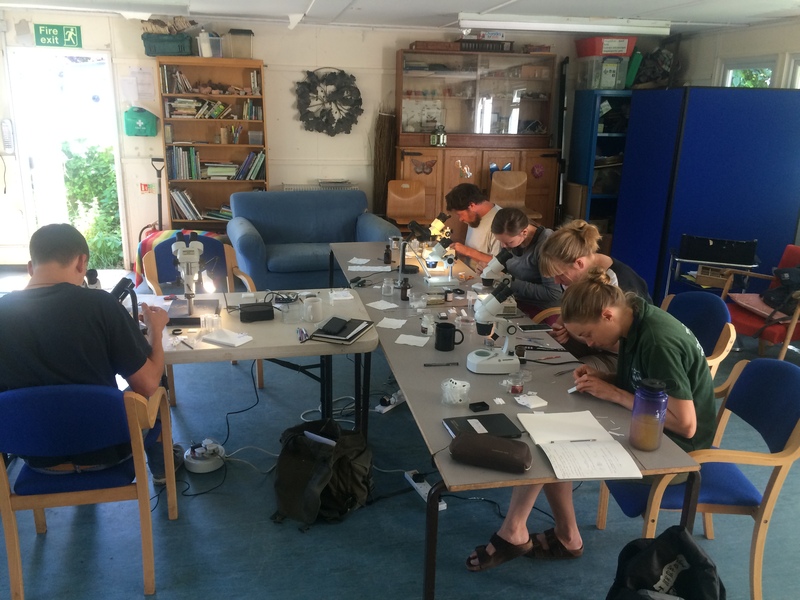 This is the third year that London Wildlife Trust have been able to fund a traineeship scheme in environmental conservation, and for two days in June they agree to be indoctrinated in entomology. 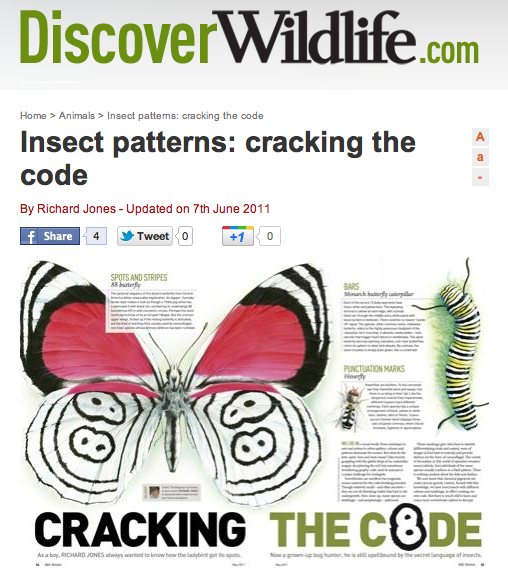 The theme is the familiar one — How to be a curious entomologist. In practice this means learning how to go out and find insects, look at them closely, then collect sample specimens for later identification. 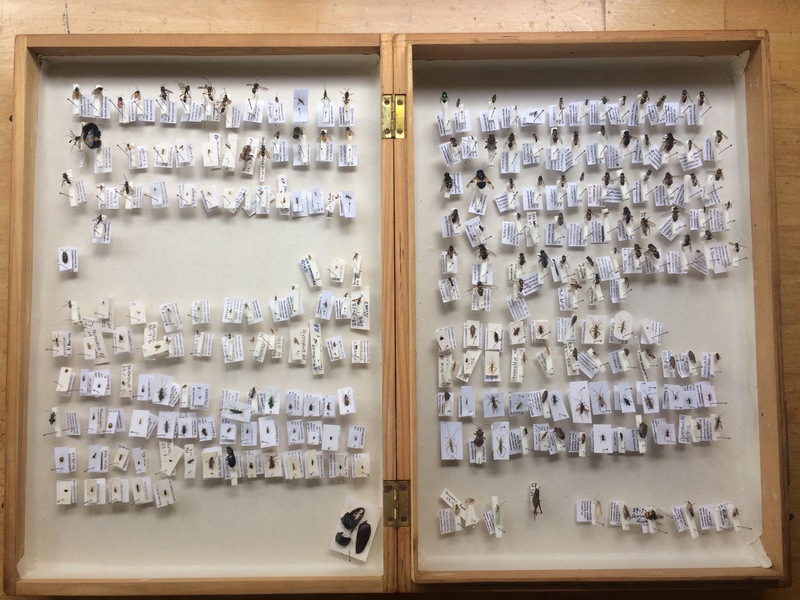 The simple act of making a small insect collection is fascinating, fun, and yet still scientifically worthwhile. First find your insects, and this year’s habitat of choice is the Devonshire Road Nature Reserve in Lewisham. Unlike last year, when the monsoon came, the weather was perfect; comfortable for both insects and entomologists alike. Entomologists all over the place. 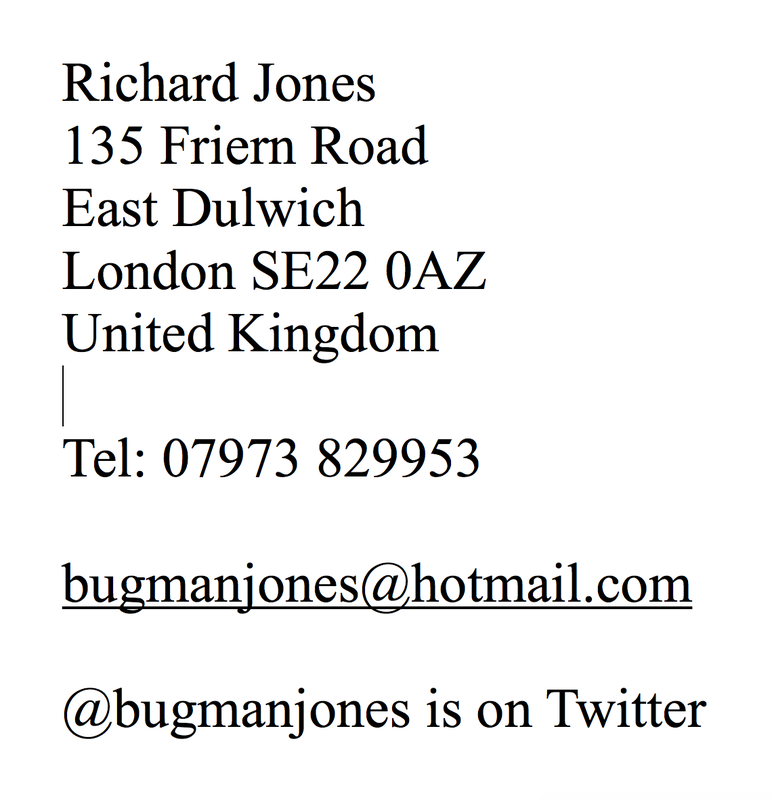 Typical entomologist stoop over the net. Train travellers have not seen this level of net activity for some time. Apparently the beating tray can be also used as an umbrella if you are so inclined. What is that twit in the background doing? He’s posing, that’s what he’s doing. Posing! Devonshire Road has a classroom, easily converted to a laboratory, and a walk in the woods can now settle down to take on a scientific air. Suddenly my office is full of entomologists. As usual everything looks amazing down the microscope, but the importance of an insect collection is not aesthetic, it is scientific, and many of the finds are unusual. One of the many Tephritis species on thistles. A Urophora — we had a good crop of picture-winged flies. The gothic gargoyle of Issus coleoptratus, Britain’s plumpest leaf-hopper. The elegant pubescent form of Lagria hirta, one of the darkling beetles. Mordellistena neuwaldeggiana, a nationally scarce skipping flower beetle. The Pinocchio weevil, Rhopalapion longirostre, the female, with her unfeasibly long nose. 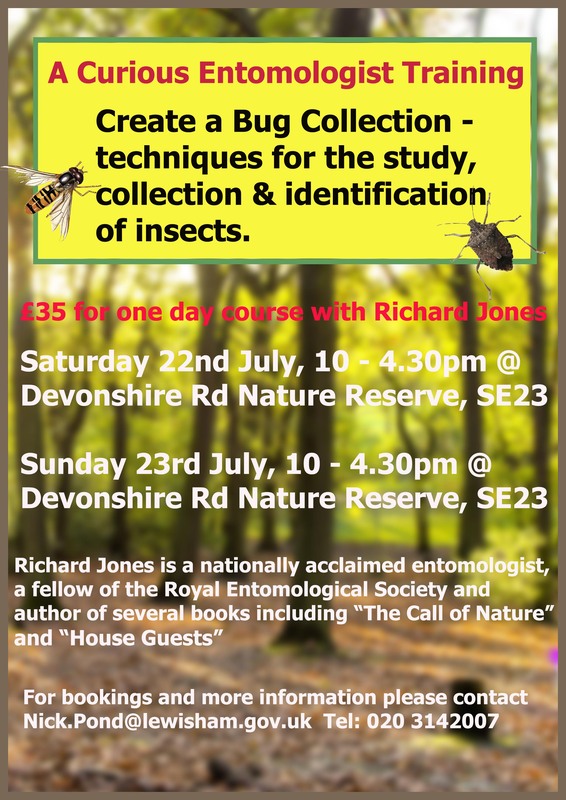 After several years of running London Wildlife Trust trainee courses, and similar one-day events for all-comers, the Devonshire Road insect collection is starting to look good. Work in progress. Many specimens have already been extracted, identified and incorporated into my and others’ reference collections. For some of the back story to the workshops, go to this previous blog entry from the workshop at Beckenham Place Park in 2016, and the original workshops in 2012. There are links onwards to further workshop reports, links on making and curating insect collections and other entomological websites. 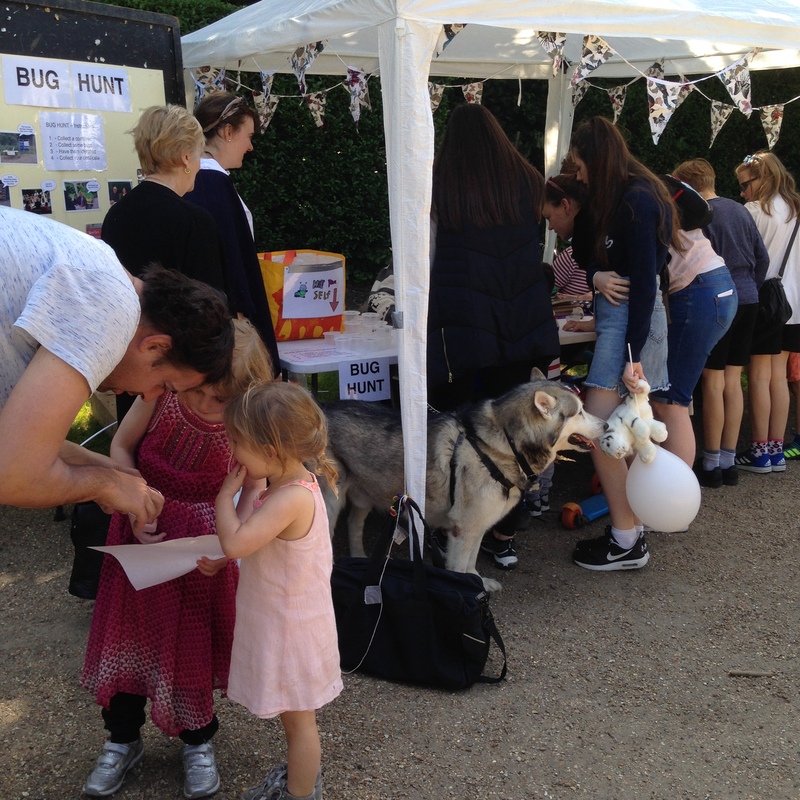 There will be more entomologists at Devonshire Road later in the year — 22 and 23 July. At the time of writing there are still places available on both days.